Explore the breathtakingly beautiful and natural wonders of Iceland as you journey around Iceland’s Route 1, the famed 1332 kilometer Ring Road that circles the island. On this 10-day Iceland Ring Road itinerary you’ll experience amazing scenery, active adventures, delicious Icelandic cuisine and unique Icelandic farm stays. With your own off-road suitable rental car, you’ll be able to explore gems often missed on organized bus tours. We don’t know many people that aren’t Icelanders who have driven Iceland’s Ring Road more than once. But we have at various times of the year and our 10-day itinerary will make sure you see all the best things to do on Iceland’s Ring Road in this almost-in-the-Arctic-Circle island nation. 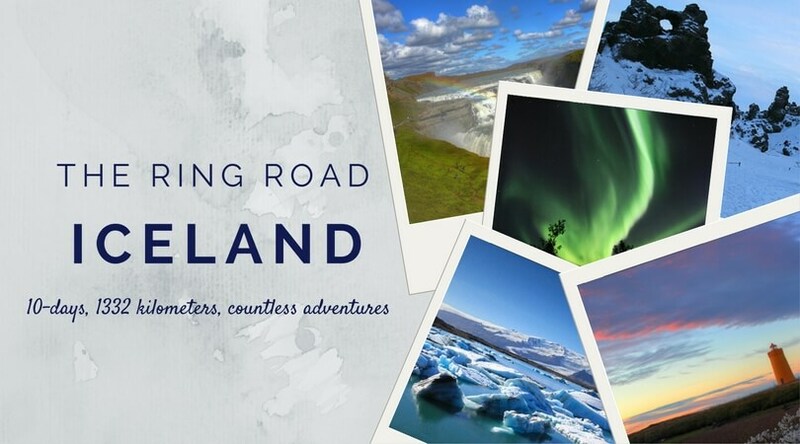 This Iceland Ring Road itinerary includes the best Iceland attractions to see along the Ring Road, Iceland restaurants we recommend and hotels and guesthouses in Iceland we recommend. You can jump to a specific day of the itinerary by clicking the links in the table of contents below. Today you’ll arrive at Keflavik Airport and pick up your rental car for your self-drive tour in Iceland. Make the 1-hour drive into Reykjavik, where we recommend living like a local in a comfortable apartment walking distance to nearly all of Reykjavik’s attractions. Or if holiday apartments aren’t your thing, Hilton Reykjavik Nordica is a good hotel choice close to the city center and with parking available. There really is no better way to discover Reykjavik than on foot. 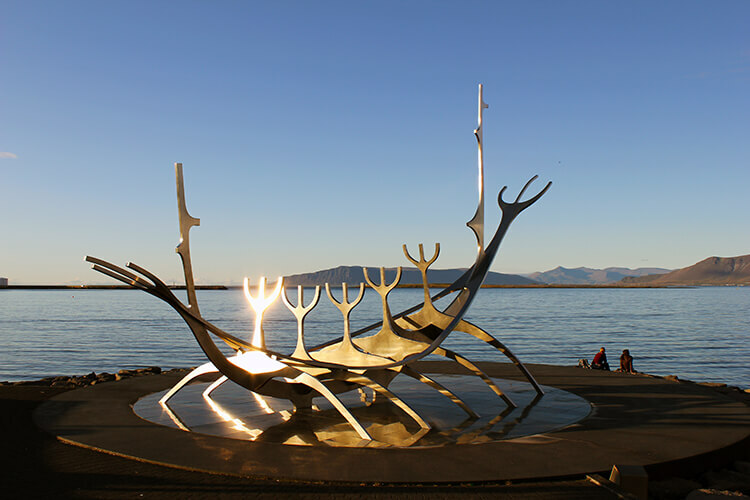 Follow our Walking Tour of Reykjavik to make sure you don’t miss out on any of the charming city’s sights like the Hallgrímskirkja church modeled after the Icelandic landscape, the mirrored Harpa Concert Hall and the Sun Voyager scultpure. Get your first taste of Icelandic cuisine. Don’t miss trying an Icelandic hot dog at Bæjarins Beztu Pylsu, an institution even former President Bill Clinton has eaten at. If you’re visiting during Northern Lights season from September through April, beat your jet lag and stay up searching for the mystical green Auroras on a Northern Lights Super Jeep tour. Hit the road to take in some of Iceland’s most famous sights along The Golden Circle, the 190 mile circular route from Reykjavik and back. All the sights, with the exception of a small entry fee for Kerið Crater, are free so there’s no need to book a guided tour. Take your time, enjoy the sights at your own pace with our self-drive Golden Circle tour, including a route map. Start out the morning by suiting up in a dry suit and snorkeling Silfra, a crack between the North American and Eurasian continents that boasts some of the clearest water in the world. 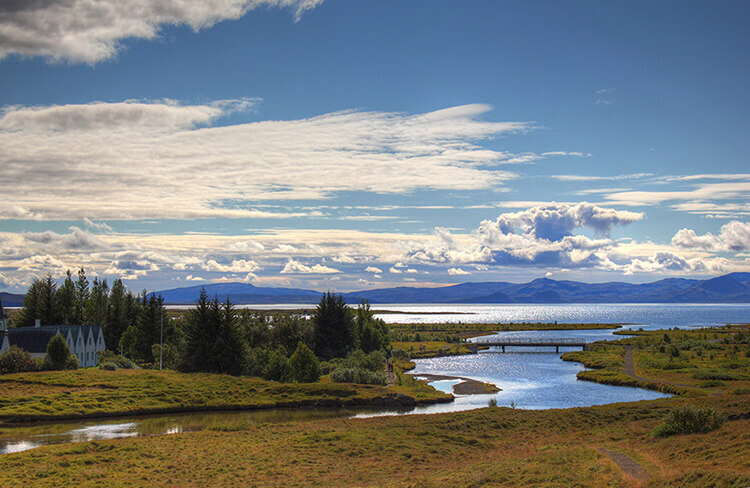 After, warm up with a bowl of fish soup in the visitor center before touring Þingvellir National Park. Continue on to Geysir, which erupts at regular intervals every 6 minutes or so and admire its white column of boiling water that can reach as high as 20-30 meters. Your next stop is Gullfoss, meaning “Golden Falls”, a multi-tiered waterfall that is one of the most beautiful in Europe. Complete your Golden Circle Tour with a stop at Kerið, a crater lake created from a cone volcano which erupted and emptied its magma reserve. For the super ambitious and those that like to take advantage of the long hours of light in Iceland’s summertime, start the day with a sunrise hike to Glymur, Iceland’s highest waterfall, which can only be reached on foot or seen on a helicopter tour. It’s up and out the door early today! The drive around Iceland’s Ring Road officially begins. Gas up before leaving Reykjavik behind, because the first stop isn’t until Keldur to see Iceland’s oldest intact turf house before heading on to Seljalandsfoss. There are many taller and more powerful waterfalls in Iceland, but the special thing about Seljalandsfoss is that you can take walk behind it! Not far from Seljalandsfoss, Skógafoss spills over the cliffs of the former coastline and is another photo worthy stop. You also won’t want to miss the opportunity for a swim in a semi-natural hot pool at Seljavallalaug. Spend a little time at Þorvaldseyri Visitor Center, at the base of Eyjafjallajökull to admire the volcano and be amazed that the Þorvaldseyri farm survived the 2010 eruption. An adventurous challenge awaits as you go on a guided hike to the summit of Sólheimajökull Glacier, exploring ice caves, crevasses and moulins along the way. End your day following our detailed directions out to the abandoned DC3 plane crash on Sólheimasandur beach. You won’t be able to see it even from the summit of Sólheimajökull Glacier, but it’s directly straight out from there hidden behind a black sand dune on the beach where it crashed on a cold November night in 1973. Today’s drive is a stunning one that will leave you wondering if you’ve landed on the moon. Start the day visiting the Dyrhólaey promontory, then spend some time playing on the black sand beaches of Vik and Reynisfjara. Vik is a small, but charming town with one of the best spots to shop for the Icelandic wool sweater (or maybe just some mittens) you’re inevitably bringing home as a souvenir. Pop in to the Vík Wool shop. Be sure to also fill up the gas tank before leaving Vik, because the next gas station is quite a drive away. Stretch your legs and take advantage of the photo ops at Foss á Síðu and Fjaðrárgljúfur canyon. Finally, you arrive at the stunning Jökulsárlón Glacier Lagoon. 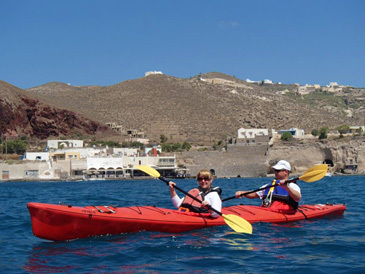 If visiting May – September, take a zodiac boat tour of the lagoon. After touring the lagoon and warming up with a lunch of fish soup at the visitor center, cross the highway and enjoy climbing on the icebergs scattered on Breiðamerkursandur. Today’s drive is a beautiful one to a charming luxury country farmhouse with a jacuzzi you’ll be dying to relax in. You’ll want to have your camera ready because this stretch of wild and rugged coastline offers stunning vista after stunning vista. You’ll be glad you have that SUV, perfect for off-roading to some of the colorful lighthouses like Halvnes dotting the coast. 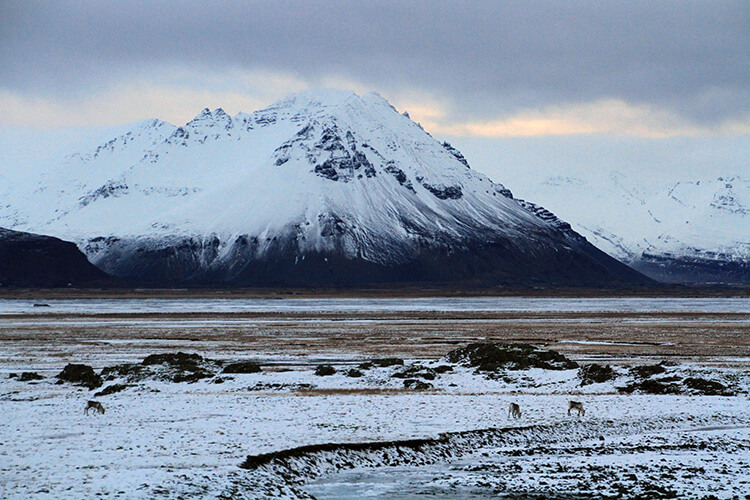 You might even be lucky to spot East Iceland’s wild reindeer. What you won’t spot is very many other people. Be sure you have some snacks and drinks in the car, because of the stretches of road in this part of Iceland are long with nothing in-between. Today’s drive is the longest stretch and East Iceland residents are few and far between. Reyðarfjörður is one of the most populated villages with around 1,100 residents and a couple of tiny cafes to pop in for a coffee and to fill up the gas tank along the way to Húsavík. Dettifoss is Europe’s most powerful waterfall and with 500 cubic meters of water plunging over its falls every second, it’s a sight you won’t want to miss. Unfortunately, the gravel roads to access Dettifoss are impassible during winter so there’s a fairly short window from early summer – fall when the roads 864 and 862 are open to reach the waterfall. If visiting in winter, it’s possible to book a Dettifoss Super Jeep tour (which we recommend for day 7). Húsavík is the center of whale watching in Iceland because of the number of whale species that frequent the bay. If you’re visiting March – November, head out on a whale watching tour. Also enjoy a visit to the Húsavík Whale Museum, where you can learn about narwhal (only found in the Arctic); Keiko, the whale from the Free Willy movies; and more. Enjoy lunch at Veitingastaðurinn Salka for a delicious meal of Arctic char and lobster sandwiches. On the way back to Vogafjós Guesthouse, stop off for photo ops at Goðafoss, one of the most spectacular waterfalls in Iceland. For the adventurous and a truly Icelandic experience, take a bath at Grjótagjá, a natural thermal spring where the locals bathe (note that we’ve gotten some reports that the water is now too hot to bathe here and it is closed to the public, though we have not been able to confirm this). Take a break from self-driving today and let the excellent guides at Saga Travel expertly lead you to Dettifoss in their Super Jeeps. Even when the gravel roads 864 and 862 are open, they’re an extremely bumpy ride for a 4×4. And if you haven’t rented a 4×4, you can forget trying to navigate either of these roads. After, explore the sights of Lake Myvatn like the pseudo craters of Skútustaðagígar, the lava fields at Dimmuborgir (where some episodes of Game of Thrones were filmed), the fumarole field Hverir, and end your evening with a relaxing soak at the Mývatn Nature Baths. The North West of Iceland doesn’t have a whole lot of attractions. After leaving Akureyri, you’ll pass through a lot of farm land. But keep your camera ready, because this is where Icelandic horses always roam and you’ll definitely want to stop and photographic this Icelandic cuties with their manes blowing in the wind. They’re pretty friendly, so some may even trot over to the fence to say hello. You might want to make a detour to Hvítserkur on the Húnafjörður. The 15 meter high rock formation is said to be a troll that was turned to stone when he was trying to destroy the Christian monastery at Þingeyrar. 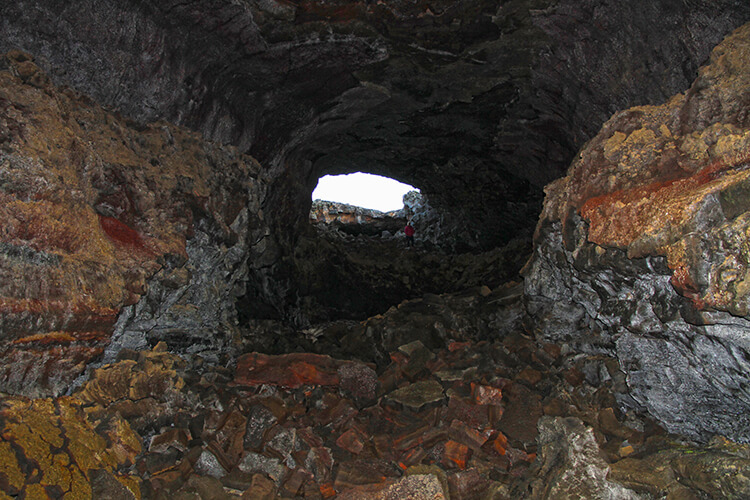 Can you spot Tim in the lava tube at Surtshellir? West Iceland has some interesting attractions worth making the detours down gravel roads off of Route 1 for. Surtshellir is part of the Hallmundarhraun lava field, formed around the year 930. 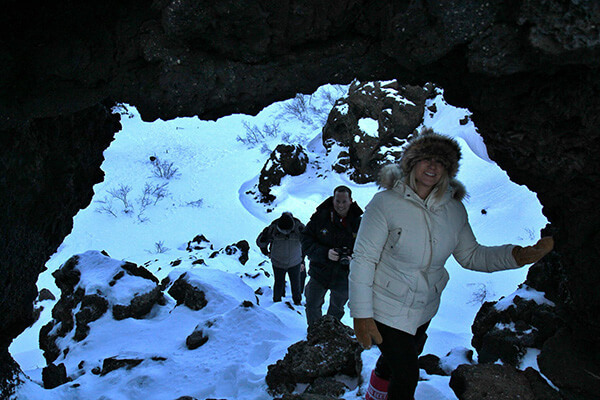 Nearly 2 kilometers in length, it’s the best known cave in all of Iceland and the longest lava tube. It would take all day to explore the entire thing, but you can see a good bit in about 2-3 hours time. There are five skylights in the tube, so bring a headlamp and explore by entering and exiting through any of them. 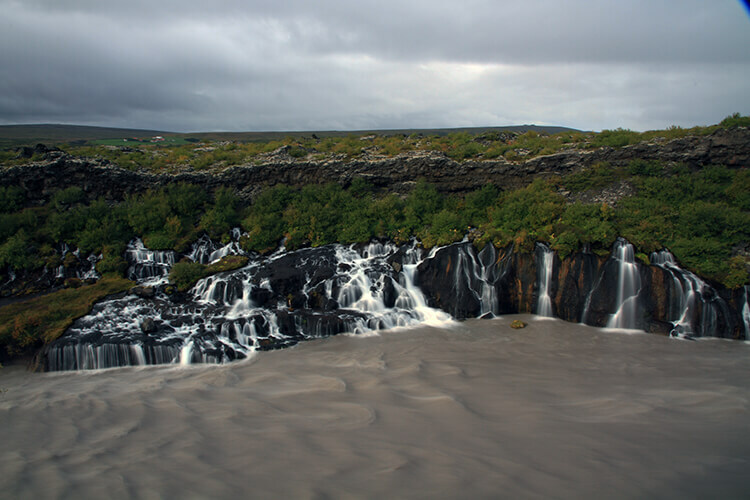 Don’t miss the Hraunfossar and Barnafoss waterfalls, which burst out of the edge of the Hallmundarhraun lava field. Pay a visit to Deildartunguhver, Europe’s most powerful hot spring. The 100°C is used to provide central heating and hot water for the towns of Borgarnes and Akranes. If you showered last night or this morning at the Hótel Húsafell, you’ve already bathed in the thermal waters of this spring! Fill up your famished stomach after a day of exploring West Iceland at the Kaffi Duus on the harbor in Keflavik. This is one of our favorite restaurants we never miss a meal at when in Iceland! 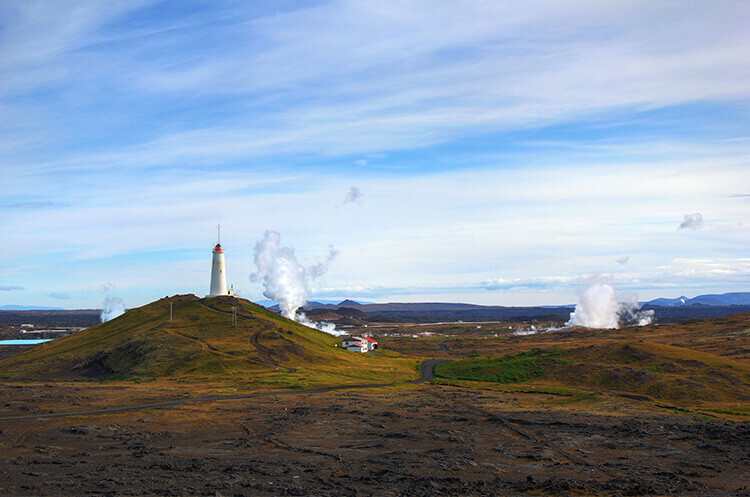 The Reykjanes Peninsula (the Steamy Peninsula) is often overlooked by visitors to Iceland. Unlike the Golden Circle, which takes a good 10 hours to drive, the Reykjanes Peninsula is small and the sights can be seen in just a few hours. It’s also conveniently located to Keflavik International Airport, where you’ll be departing from. Visit sights like the the picturesque Hólmsbergsviti lighthouse, Miðlína (Lief the Lucky Bridge) that spans the Álfagjá rift valley, the black sand beach of Sandvík where scenes in the Clint Eastwood films Flags of Our Fathers and Letters from Iwo Jima were filmed in 2007, Iceland’s oldest lighthouse Reykjanesviti, and the Gunnuhver Hot Springs. Head to the Blue Lagoon, one of Iceland’s most visited attractions, to soak in the milky blue geothermal waters and get nice and relaxed before your flight home. The waters are rich in minerals like silica, sulfur and blue-green algae and bathing in the Blue Lagoon is reputed for its positive effects on the skin. This article contains affiliate links. When you book on Booking.com or Lagoon Car Rental through our affiliate sites, we earn a small commission at no additional cost to you. I would LOVE to do this route! I went to Iceland in September 2012, but just stayed in Reykjavik (visiting a friend) and did a few daytrips by car. This, though…next time, right?! Absolutely Sam! My first trip was just a few days visiting Tim while he was temporarily living there and we stuck around Reykjavik and the Reykjanes Peninsula. Our next visit for our Ring Road trip was epic though! And we’re excited to be heading back again in September. What time of year did you guys go on your Iceland trip? This itinerary looks amazing and makes me want to plan my trip right now! Tim lived there for a short bit. I’ve been in the beginning of September and then we did our Ring Road trip in winter. We got to Reykjavik a few days before New Year’s, rang in the New Year there, and then officially started the Ring Road January 1. It’s a bit of a gamble to do it in winter like that because you never can predict weather or road conditions, but our gamble paid off. We are thinking about doing the same thing and was curious what your thoughts are about having a 4×4 car? Is it a must? And do you also wish you were able to see the highlands or were you satisfied? Having a 4×4 is definitely a must otherwise you are limited to sticking to the main roads. Also, the Highlands can only be accessed June – August in good weather. I’d love to see Iceland! This year I won’t make it as I’m leaving Germany in the end of August and have all my travels planned till then. But I’ll hopefully make it within the next two years. Your itinerary seems like a great choice. I’ll keep that in mind. Thanks for sharing! Iceland is our favorite country Stef. Hope you make it and hopefully this itinerary helps you with planning. This is awesome! It must have taken you forever to put this post together. These itineraries are a bit time consuming. We’ve got two now – this one and one for 5 days in Santorini. Hoping more readers weigh in so we can figure out if you all would like to see more trip itineraries like this! Great to hear Hanif! Are you a first time visitor to our website? Would love to know if you’d like to see us design more itineraries like this! What a great resource for anyone driving the ring road. Iceland is definitely a trip of a lifetime. Agreed, Deb! Iceland is our favorite country we’ve been to. We’re excited to be headed back again in September when I’ll be speaking at the SATW conference. Sounds like a great itinerary! We are going to be doing the same trip in mid September, but for 8 days (leaving late afternoon on the 8th day). Where would you suggest cutting a day short for an 8 day trip? I was thinking 2 nights in Mývatn area instead of 3? What place would you skip if you only had 2 nights there? Did you get our email reply? We’d cut Husavik. It’s a cool town, but small. If you’re short on time we’d say to skip it and do as much of the rest of the itinerary as possible. Let us know if you have any other questions and enjoy your trip! Lovely idea – to present such itineraries 🙂 Iceland is a beautiful part of this eart I would like to visit, and hope to manage to do that one day! Thanks for putting together such an informative itinerary and responding to everyone’s questions. We are now planning on going to Iceland after reading your itinerary and have a bunch of questions. We live in the Chicago area and are thinking about visiting Ireland from March 21 through 30, 2015. We will have two adults, three kids ages 9, 9, and 6, and a senior citizen who walks with the help of a cane. Since we will get there at 6:30 am on March 22, we will have 8 and a half days before our return flight. 1. Since we will not be able to do any extreme activities due to the age and ability of the people in our group, are 8.5 days enough to drive on the Ring Road and do some activities around Reykjavik? 2. We can rent a minivan (like Ford Galaxy) to fit all the people. Do we have to have a SUV or will a mini-van be OK for the Ring Road and nearby activities that you have recommended in the itinerary? 4. I read on various forums that hot dogs and ice-cream is readily available everywhere in Iceland. Do you know if there are options for vegetarians available? (If not, we can bring a bunch of peanut butter and Jelly and just buy bread and make sandwiches for the kids). 5. We could visit in mid-July to August if end of March is not a good time. We were thinking about March because we might get a chance to see the Northern Lights and the kids would love that. Should we reconsider the plan and visit in summer instead? Thanks again for putting together such a helpful itinerary and inspiring us to visit Iceland. Hi Jamal! Great to hear you plan to visit Iceland. Most of the Ring Road, except for a small section in the East, is paved so a minivan would be perfectly fine for driving both the Ring Road and to all of the attractions on the Golden Circle around Reykjavik. You could do it in 8 days – it just depends on what activities you want to do and how long those will take. Though it sounds like you will be mostly sticking to the roadside attractions since you’ll have a senior that has a bit difficulty walking. March isn’t a good time for whale watching. Most companies don’t operate whale watching tours in March simply because the whale watching season is from May – August, but March is the time to go to Iceland if possibly seeing the Northern Lights is of interest. Your kids are pretty young for Northern Lights viewing though as they typically are seen pretty late at night and it will be fairly cold. The best time to visit really just depends on what you’re most interested in seeing. As far as vegetarian options, it might be a bit difficult. 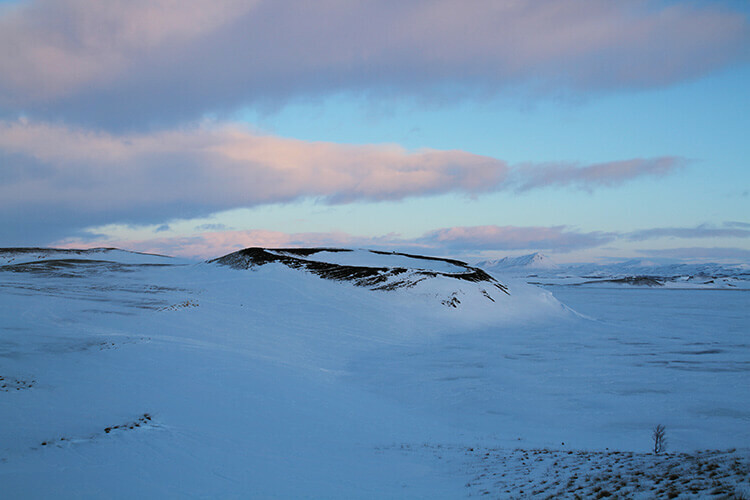 The terrain isn’t suitable to pretty much anything growing in Iceland. Mostly tomatoes and cucumbers are grown in greenhouses in Iceland and you usually don’t get a vegetable other than some tomatoes, cucumbers or potatoes with a meal. Fish and lamb are found on every menu. Of course, in Reykjavik it isn’t really a problem as you have a variety of food options. But when driving the Ring Road, you are going to be dealing with farm type stays where all the food usually comes right from the farm or a nearby farm. Hope that helps and let us know if you have more questions! Thanks a lot Jennifer for your quick and detailed response. Sounds like it might be better for us to wait a little bit before visiting Iceland so that the kids are less picky about the food. Sorry, but our system has determined you may be a spammer. If you believe this to be an error, please contact us so that we can rectify the situation. Great itinerary, it will be very useful! We were thinking about visiting Iceland in December, would you recomend renting a car, or is driving in the winter a crzy idea? Hi Rita! We definitely recommend renting a car and especially a 4×4 in winter. Check out our article https://luxeadventuretraveler.com/tips-for-driving-icelands-ring-road-winter/ to help with planning for driving. I am planning a trip to Iceland in early May. Any tips for traveling at this time? Will we be able to go off road with the appropriate vehicle? Hi Erin! You will love Iceland. May to August is high season, so be sure to book your accommodations, rental car, and activities as soon as possible. You will definitely be able to go off road. The only areas not accessible will be those still being affected by the current eruption. We are off to Iceland next month. Do you have suggestions for winters? Yes, we do. Check out the Iceland section of our Destinations and you’ll find a lot of information for all seasons, including winter. Let us know if you have any questions! Hi, may i know if this itinerary is suitable for travelling in end sept/ oct? And would you recommend 2WD or 4WD during that time of the year? Thank you! Yes, you can do this itinerary any time of the year. September and October are just some of the rainier months. You always want a 4WD when in Iceland, especially if you plan to see attractions off the main roads. Thanks for this post! My husband and I are planning a trip for either June or September. I have heard a lot of nightmare stories regarding car rentals in Iceland. Is there a company you recommend? What kind of price tag comes with renting cars? Any input would be appreciated! Again, thank you for this post!! Hi Sarah! You’re going to love Iceland! We haven’t heard any horror stories about renting cars in Iceland. We’ve been there ourselves always with a car rental a number of times and know quite a lot of people that have also rented cars. Hope that is reassuring! Yes, we have had great experiences with SADcars, Go Iceland and also with renting a camper van from Kuku Campers. We’ll happily give our stamp of approval to any of these companies. The price really depends on the type of vehicle you rent, so have a look at their websites to get an idea of how much you need to budget for car rental. My husband and I just finished a week around the Ring Road and used your post on Iceland for all our tips for planning. We LOVED it! We can’t wait to go back! Our highlights were snorkeling in Silfra, and hiking the Solheimajokull (sp?) glacier. Thanks again for all of your helpful info! 1) In order to do your recommended itinerary, is a 4×4 necessary? 2) Is a camper van practical for your itinerary? Are there places to sleep in the camper in each of the towns that you stop in? Thanks again for taking the time to do this. I also appreciate your recommended rental car agencies. Hi Angela! You will love Iceland! I highly recommend a 4×4, but it isn’t absolutely necessary in August. You will just have to walk further to get to some attractions as rental agreements strictly forbid you from taking non 4×4 vehicles on what are called F roads. We’ve actually done the camper van (recommend KuKu Campers) too and loved it. There are campsites all over Iceland where you can get electricity and shower facilities. The camper van is great because it allows you to have more freedom and also is really handy for Northern Lights viewing since the campsites are typically outside the towns and away from light pollution. We’d be laying in the camper van and could see the Northern Lights start up right from the window. Jennifer, thank you for your helpful reply. We are all set for visiting in August with 10 friends. I had a question about the Blue Lagoon. Part of me feels like it is a must-do but a little scared of the crowds in August. What are your thoughts on going: is it worth it and best time to go. Are there other thermal pools that you recommend along the route? I already have Grjótagjá on our list. 1> can we smoothly cover the ring road by Renault Kangoo( camper van), or is it necessary to book a 4*4 at this time of the year. 2> as i am on a budget this time, which mode would be cheaper a) Camper van , b) a 4*4 car with accommodations in hostels on the way. and how to add Snaefellsnes Peninsula in this itinerary, i would love to go there as its a photographers paradise. and how to put Snaefellsnes Peninsula in this itinerary, i would love to go there as its a photographers paradise. You should have no problems at the end of October with the Renault camper van. The camper van would likely be the cheaper way to go. We can’t speak to the availability of hostels as we don’t stay in hostels, but we think they’d be few and far between outside of Reykjavik. Looks like you had a great trip, Deborah! This is just so superbly written. How do you think is late June and Early July suitable for a trip to Iceland? Do you think we’ll be able to do Breiðtamerkursandur during that time? Also, is there anyway we can do a ring road trip without it being a self-driven one? June and July are the peak tourist season in Iceland. You can always visit Breiðtamerkursandur. The icebergs calve off the glacier, so they are always there. There are just sometimes less depending on the current as they wash out to sea. There is no way to do a Ring Road trip without it being self driven. Tours do not go to the entire island. We are going for 8 days and 7 nights in April. Which bot of your tour would you suggest we miss? We’re off to Iceland in January for a week. We’re unsure of whether to hire a car as we’re not sure what the road conditions are going to be like. Also, don’t know where to start with sorting out the itinerary but we’ll definitely use your blog to help us work it out. We definitely recommend having your own car for the freedom to explore. The roads in the South are very well maintained and there is plenty to keep you busy in the South alone for a week. Maybe start with Reykjavik and the South for this first trip to Iceland. Let us know if you have questions as you plan your trip. You’ll absolutely love Iceland! We are a family of 4 (3 adults and a teen), and we are arriving in Reykjavik on 21st july for 7 days. What kind of car do you recommend and which company? What itinerary can you help us with? We would like to do the Golden circle, the ring road, and of course Blue lagoon and reykjavik and around it. We prefer natural attractions rather than museums etc. We are pretty active and can do off the beaten path stuff. Also, what kind of clothing do you recommend at that time of the year? This is a great website and helping me figure out how to navigate the amazing Iceland and cram it all in 1 week. Thanks so so much for your help. You’ll have plenty of space renting an SUV. 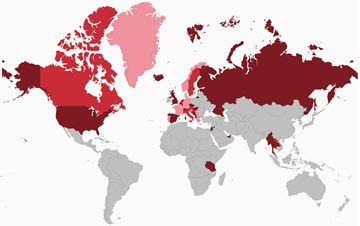 Check SADcars or Go Iceland – both are companies we can recommend. This Ring Road itinerary covers everything you’re interested in. For clothing, Iceland’s weather can and will change in a blink of an eye. You’ll want layers and waterproof jackets and pants, especially when exploring the natural attractions. You can bet on experiencing every kind of weather from gorgeous blue skies to sideways rain and high winds all in the same day. Me and my husband will be spending our honeymoon in iceland on November 14 and we’ll be staying in reykjavik but would love to visit as much places in iceland. What can you recommend for us to visit? I am thinking that we can drive to Vik for a daytrip but aside from that, can you suggest of some other places? What a great place to honeymoon, Leslie! You can do quite a lot of day trips from Reykjavik if you prefer to make that your base. From this itinerary, you can do days 1, 2, 3, 4 and 9 all as day trips from Reykjavik. Hi. This site is brilliant and by far the most informative and helpful that I’ve found so far. My husband and I along with our 2 year old daughter are planning a trip to Iceland from the 5/11/16 to the 12/11/16. Would you think it would be best to base ourselves in Reykjavik and do day trips or travel from place to place at this time? Is there usually a lot of ice/snow on the roads at that time of year? Hi Hannah! Iceland doesn’t typically have bad weather with severe snow and ice storms. It actually has quite a similar climate to NYC. The difference is that the weather can be unpredictable, so you want to have contingency plans. Even when visiting in the summer months, Iceland can get high winds and some roads will be shut down for safety reasons. If you’re comfortable driving in winter conditions, there’s no reason no to travel around. We’ve done it in January, when Iceland receives the majority of its snow. Just give yourself plenty of time and remember that the hours of daylight are shorter. 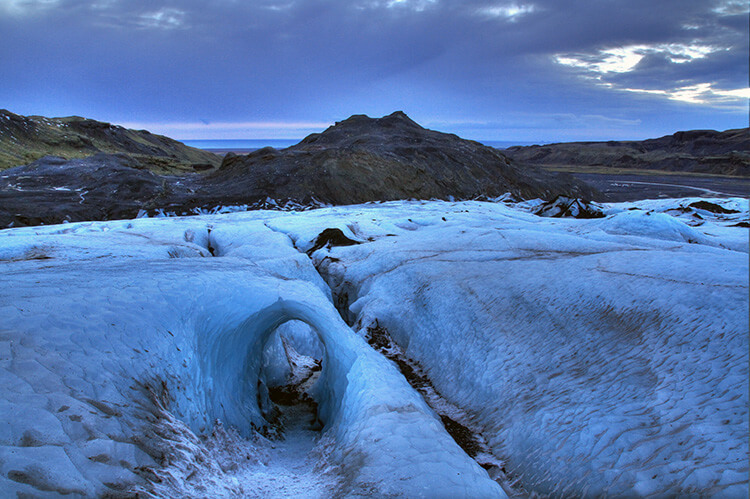 Did you guys visit the Vatnajökull ice cave on this itinerary? I am traveling there in February of next year; I plan to drive Ring Road in a 4WD and I absolutely want to go to the gorgeous ice caves! Have you been and do you have any recommendations regarding getting there? Thanks for any help you can give! Hi Mary, actually no. Vatnajökull was closed to visitors due to the volcanic eruptions when we lived there in 2011 and then again in 2014. We didn’t have time on our other trips. But you would access them from the South between Vik and the Glacier Lagoon. 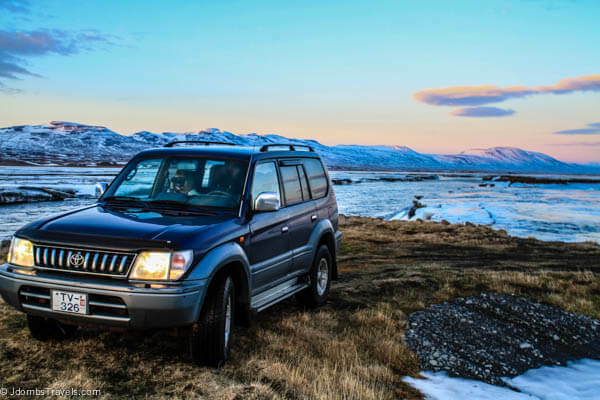 You need a 4WD or you can book a tour from Reykjavik. I am gearing up for our trip next month. I have a little fear of the distance between the last two stops and the time of year. Going from Myvatn area to Kevlavik, will we really make it? For the day spent driving around the fjords on the east coast, is there a town you recommend staying in that fits in well with the Ring Road itinerary? Would it be Reyðarfjörður ? Thanks! It depends on what time of the year you plan to visit. We recommend Silfurberg http://www.booking.com/hotel/is/silfurberg.html?aid=1143113 in Þorgrímsstaðir, however it is not open year round and that will be the case with most guest houses in the winter months in the East Fjords just because it is not an area frequented in winter. 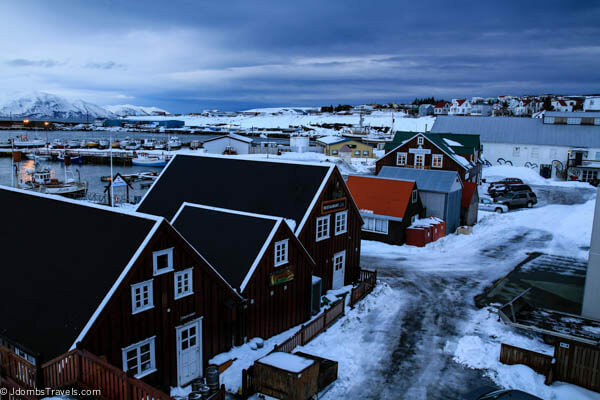 If you are traveling through the East Fjords in winter, then Reyðarfjörður will be your best bet for finding a hotel or guest house open then. This trip looks amazing! I am coming to Iceland with my 3 and 6-year old in mid-April for 9 days – the Ring Road looks amazing, but I’m not sure how the kids will handle that much driving. Can you suggest some other options? With 7 days including arrival and departure, you really don’t have time to visit the entire Ring Road. We would recommend focusing your time on visiting Reykjavik, the Golden Circle, the South Coast as far as the Glacier Lagoon and the Reykjanes Peninsula. There is quite a lot to see and do and you’ll have no problem filling your days but still wishing you had more time. We are going to Iceland next summer and we are wondering which car rental we should take… Do you have any recommendation? We can recommend http://sadcars.com/ or http://www.goiceland.com/, both of which we have personally used on multiple occasions. Hey, just returned from Iceland and used your guide a lot for our itinerary. Glad you found our guide helpful and it looks like you had a nice trip to Iceland! We are a group of 7 friends that are planning to visit Iceland from 28th December to 5th January. Our Idea is to rent a 4×4 car and drive the ring road. Do you think that we have enough days to do it? And, most importantly, how can we manage the accomodations booking? do you have any tip? So if you’re arriving on the 28th and departing on the 5th, you have 7 full days. Keep in mind that at this time of the year you’ll only have about 6 hours of daylight. With unpredictable weather conditions and the short days, I honestly feel like you’ll spend more time in the car than actually seeing anything. If this is your first trip to Iceland, I’d really recommend focusing on a certain region. The South Region is really great to explore and you would have plenty to see during your visit. Certainly! Can you give us a few more details? Are you interested in driving the Ring Road? Are you planning to rent a car or are you more interested in tours? Are you in to outdoor activities like hiking? I have noticed your website and very much enjoyed looking through all your information on travelling in Iceland! My friend and I are planning a trip to Iceland in February 2019 for about 5 days. We are trying to do it on a budget so looking to stay in hostel accommodation around the country. We are going to hire a 4×4 in Reykjavik for the 5 days and do some exploring. What route would you recommend? We would love to visit some of the more remote places but obviously we need to be careful because of the time of year and weather conditions. I’m just a bit unsure of what is safe and what is not when travelling round the country. Any advice on what we should do for that time of year would be hugely appreciated! Is this your first trip to Iceland? Five days isn’t a lot of time, especially in February since the days are still short with only 8 hours of daylight. Driving distances will be further too if you run in to any winter conditions or, more likely, high winds. With only 5 days, we’d recommend sticking to the south, where there’s a lot to see and do. As far as hostels, you’ll be limited once outside of Reykjavik. Accommodation is generally more guest houses and the occasional hotel. So you’ll need to think about if you want to make Reykjavik your base and do day trips from there. You could also consider renting a camper van, which is quite popular to do, to combine your accommodation and transportation. Camp sites are more limited in winter, but you’ll still have ones open along the south coast. Thank you very much for response and the information you have provided. We are heading to Iceland on the 20th of Feb and will use your information for sure in planning our trip!